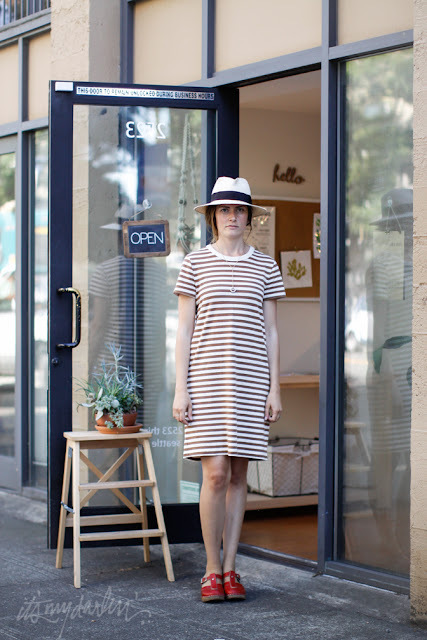 During a recent trip to Belltown I met designer Jess Griffith while she was working at Moorea Seal. Such a fun shop! SPU grad Moorea Seal started the company online and after gaining a large online presence and massive fan base she opened the storefront on 3rd and Vine. In addition to having beautiful and carefully selected handmade accessories and objects, a percentage of all store proceeds benefit non-profits. Jess’ line of handmade and hand painted bags is called Pine & Boon and it can be found at Moorea Seal.